The Jubilee Academy is located in Harrow. Our address is, 73-77 Lowlands Road, Harrow, HA1 3AW. The nearest tube station is Harrow-on-the-Hill. 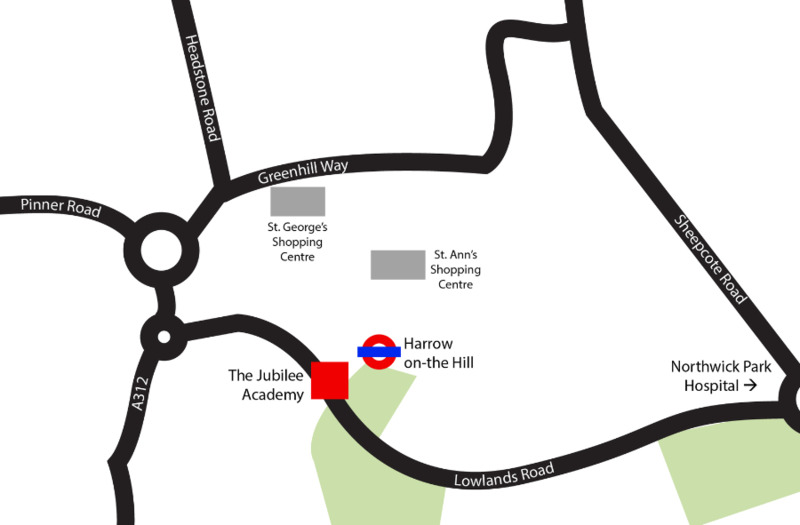 Parking is available nearby at St Ann's and St.Georges Shopping Centre. There is also limited meter parking near Lowlands Recreating Ground. The Jubilee Academy has a ground floor entrance with wheelchair access and a lift to reach all 3 floors. If you have any queries or questions please contact us at info@thejubileeacademy.org.uk or complete the form below and we will get in touch with you shortly.